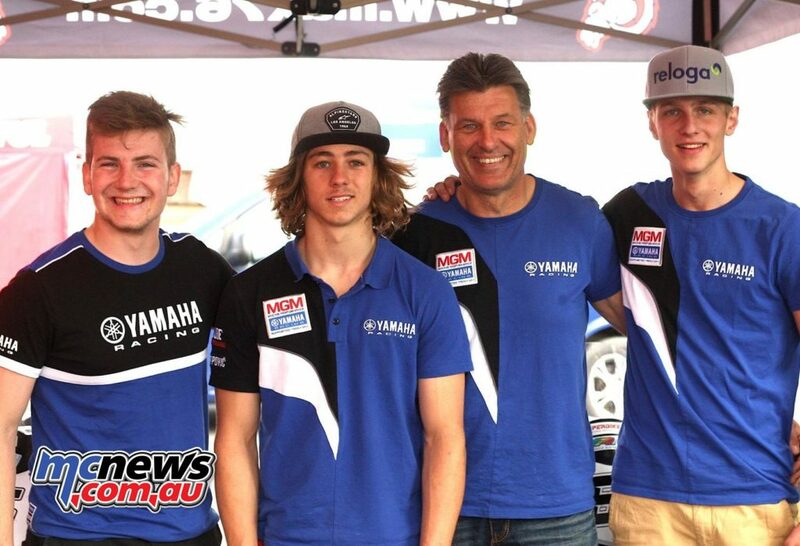 While Lukas Trautmann will keep riding in the Superbike category next to Florian Alt, Remy Gardner (Second from left) makes his debut in the Superstock 1000 class for Team Yamaha MGM. 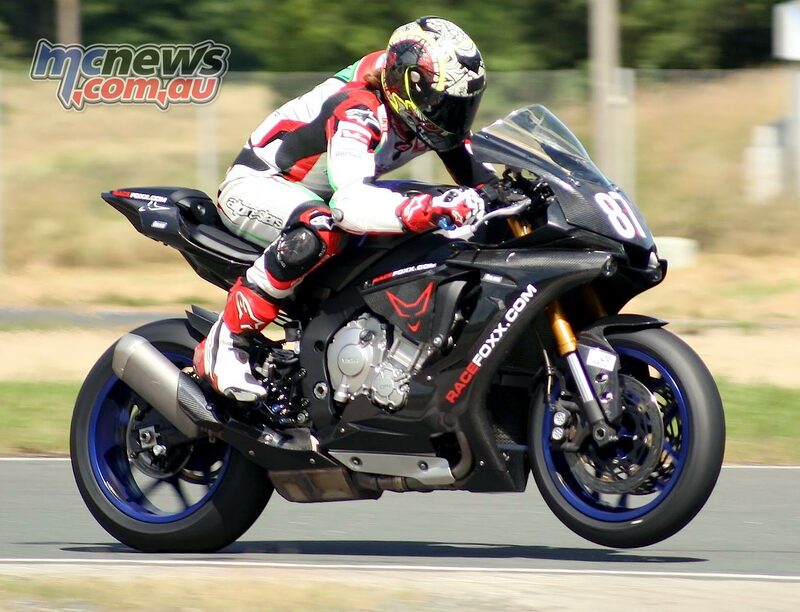 In addition to contesting the Moto2 World Championship with Tasca Scuderia Racing, Remy Gardner will also take to the track with Yamaha in the IDM Superbike series in the Superstock 1000cc category, beginning at the next round at Zolder. The IDM Superstock 1000 deal, which links Remy to the Yamaha factory is an excellent opportunity for the youngster who raced to Moto2 GP points on his debut at the Catalan GP, before inking a deal to remain with the Italian Tasca Scuderia Racing squad, and one that Gardner is relishing. The eldest son of former 500cc World Champion Wayne Gardner, Remy got his first taste of short-circuit track action at the age of ten years after being brought up on motocross and enduro competitions. In October 2010 he was invited by Honda Australia to represent them in the NS100F International Trophy and took part in the premier MRRDA Nippers Championship for riders under 13. The following year he left Australia to settle in Spain in search of the right environment to develop his career, where he competed in the Mediterranean Championship. From 2013 he rode in the FIM CEV Repsol International Championship with the Calvo/LaGlisse team. In 2015 Gardner joined the CIP Team with a Mahindra bike and Japanese rider Tatsuki Suzuki as a teammate but an under powered engine and mechanical issues saw him score just six points. As Gardner continued to grow, he became too big for the lightweight class and was set to move to Moto2 with the AGP team in 2016. Unfortunately, the team was unable to start the season and Gardner ran in the CEV. From the Catalan GP the Australian was called as a replacement for Alessandro Tonucci, scoring a point on his Moto2 debut. For Team Yamaha MGM he’s going to ride the Superstock bike of Trautmann, competing in the fourth and fifth round of IDM Superbike, which are taking place in Zolder and Schleiz. To prepare himself for his first race weekend on a 1000cc bike Gardner tested a standard YZF-R1 on Friday in Schleiz to get used to track and bike. Alt and Trautmann did many laps at the famous road circuit in Thuringia as well and were already able to help their new team mate on and off track.